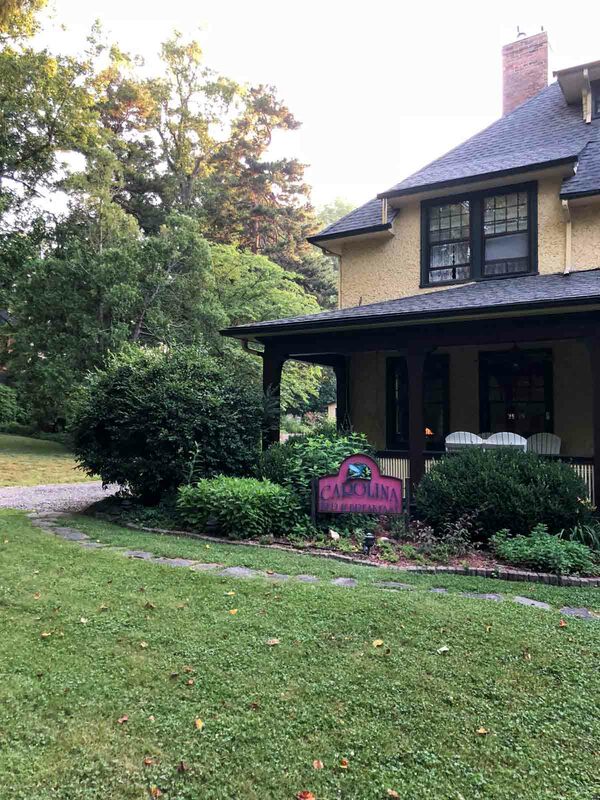 As part of my NC farm tour this summer, I had my very first bed and breakfast experience! 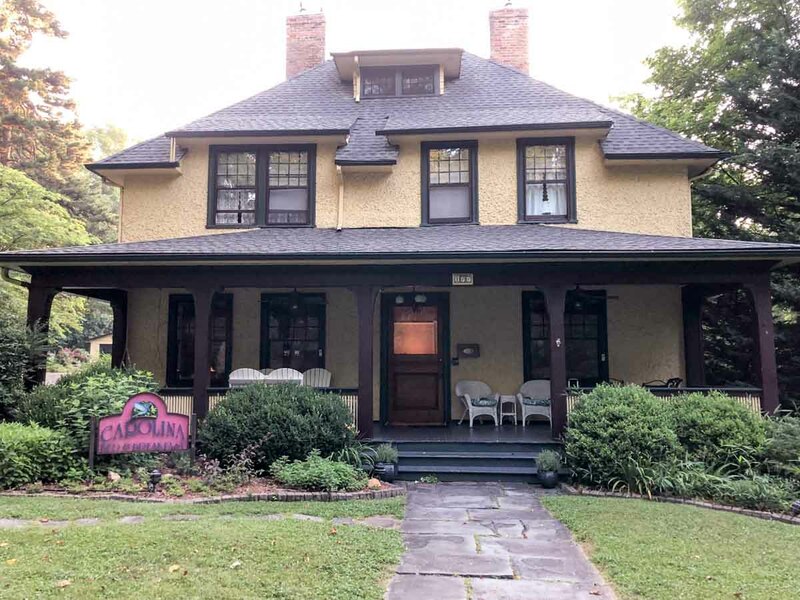 Carolina Bed & Breakfast in downtown Asheville was so welcoming and made my first time an easy one. Even though I wasn’t able to take advantage of all they had to offer with our jam-packed schedule, it was such a cozy place to come back to each night. 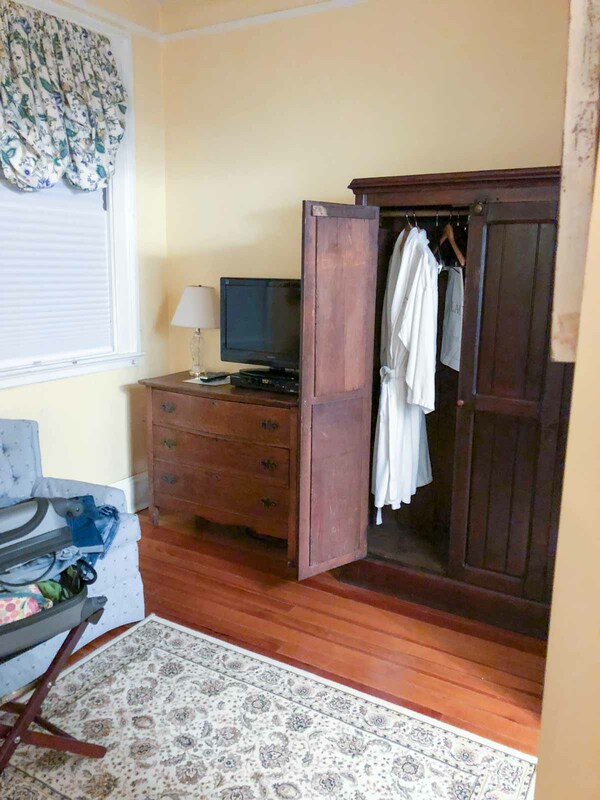 Seriously – the linens were a dream and the towels were the softest I’ve ever used! Everyone needs to get themselves some Brooklinen towels. The B&B is a former boarding house, and I stayed in the first-floor “Miss Webb Room” which was originally the library of the house. 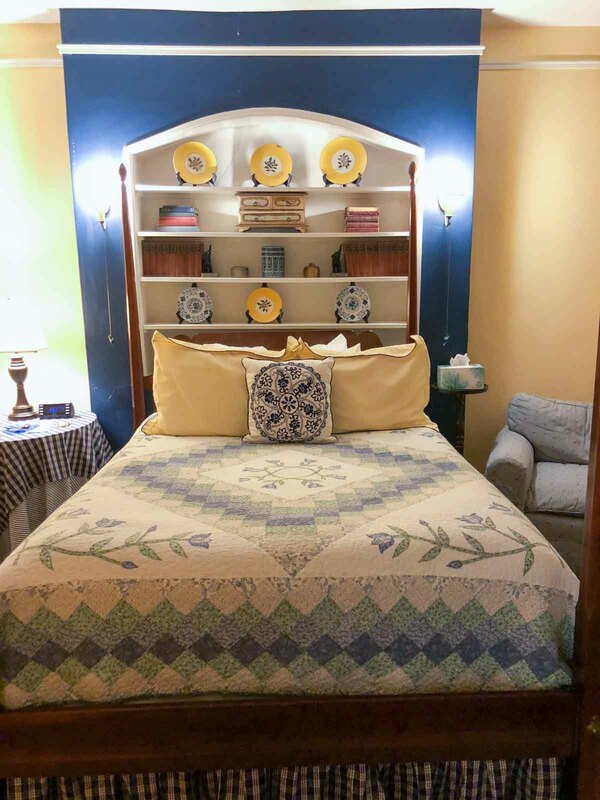 Diana keeps busy not only keeping the inn tidy and welcoming, but making sure there’s a delicious breakfast, hors d’oeurves for happy hour, and a nightly homemade baked treat waiting in your room when you return. The last night I stayed here I had to leave before breakfast was served, but the breakfast I was able to enjoy was delicious! 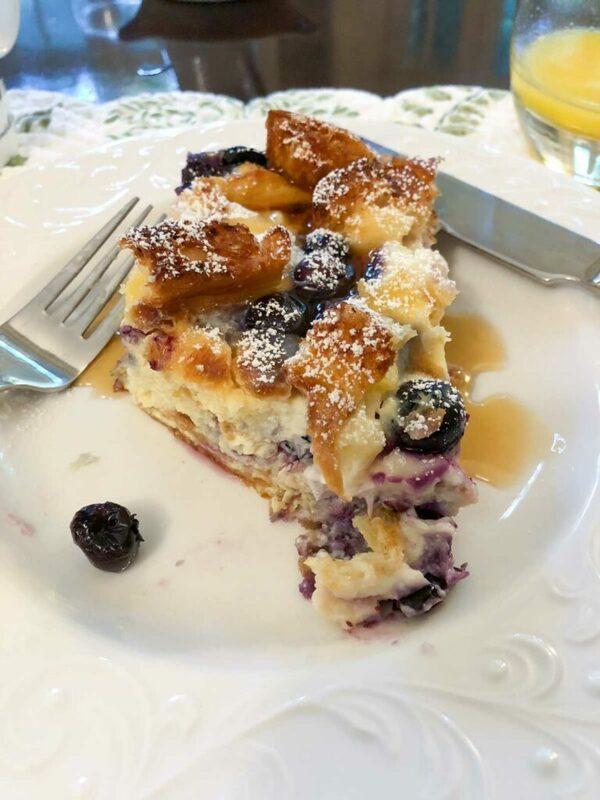 Diana was kind enough to pass along the recipe to me to share with all of you: blueberry cheesecake french toast. Has anyone ever tried french toast made from croissants before? It’s a must. 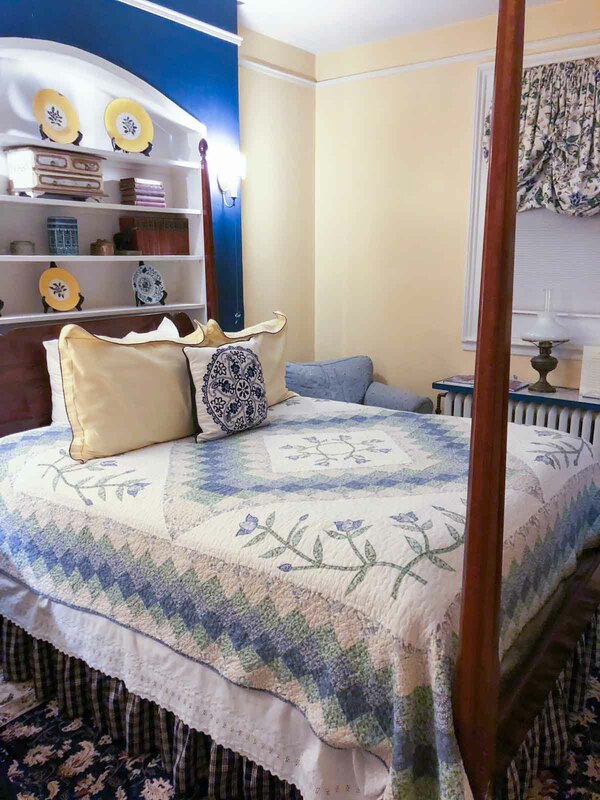 Have you ever stayed in a bed and breakfast? What was your experience? Let me know in the comments!